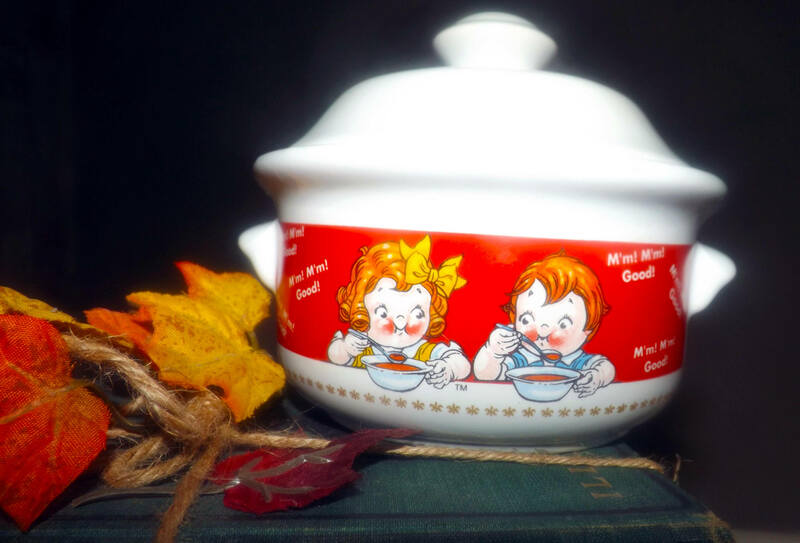 Vintage (mid 1990s) Houston Harvest Campbells Soup | Campbells Kids covered, handled soup bowl | small casserole. 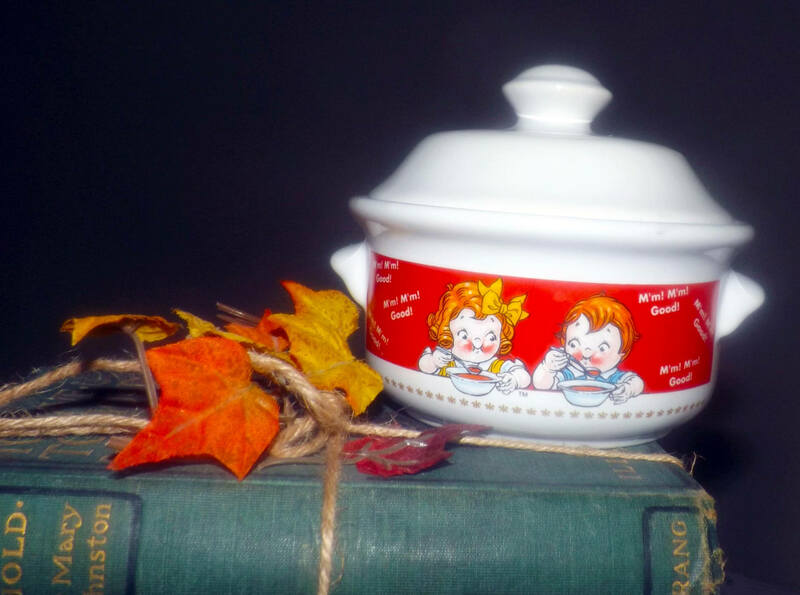 Vintage (mid 1990s) Houston Harvest Campbell's Soup | Campbell's Kids covered, handled soup bowl | small casserole. 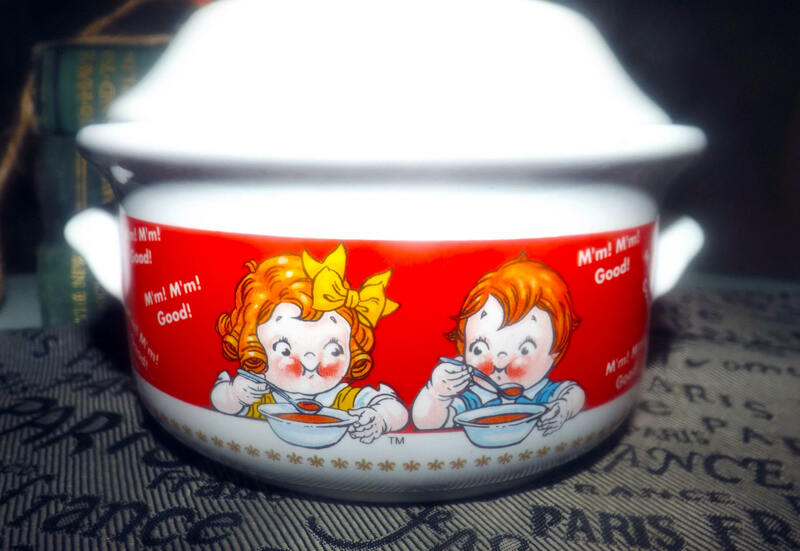 Features a pair chubby-cheeked Campbell's Kids, mouths full of yummy Campbell's soup, on both sides of the bowl with the now-iconic tagline "Mm! Mm!, Good" all about. 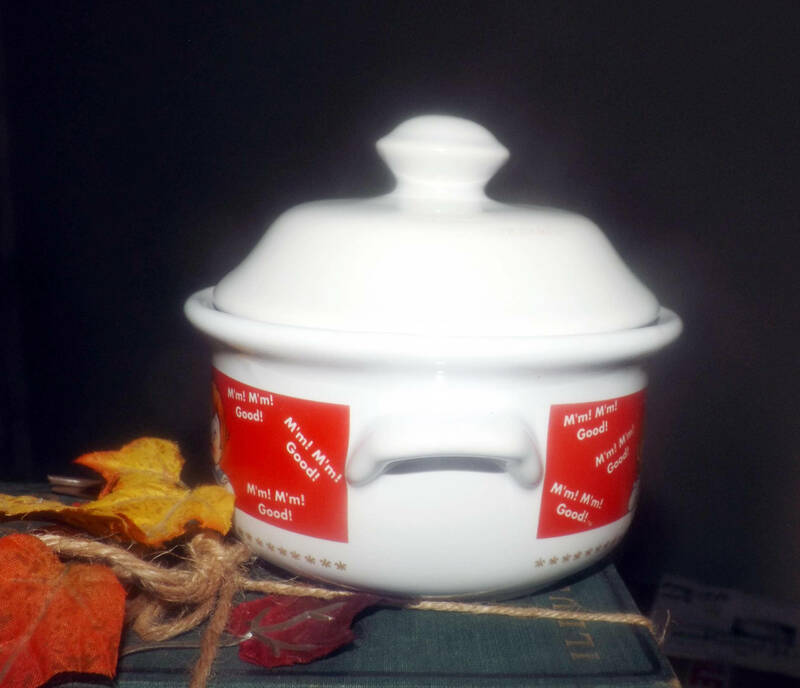 Great covered bowl, especially for those who have kids coming home for lunch as the lid allows you to keep their food hot until they arrive! In EXCELLENT! condition, there is a WEE! 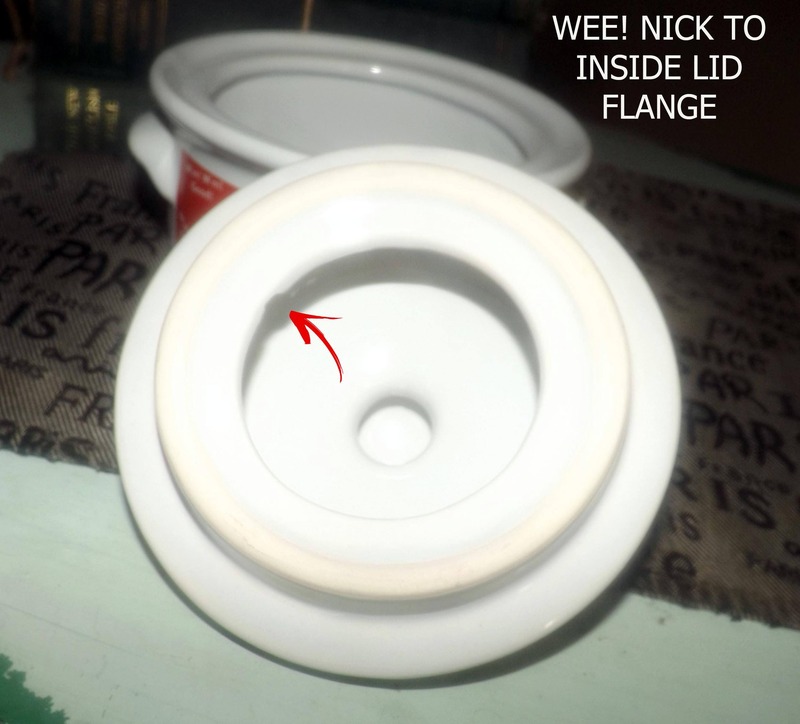 nick to the inside lid flange (please refer to the posted photos for a complete visual of the item, particularly those photos with a red arrow to draw your attention to any areas of imperfection) that is not at all noticeable unless the lid is removed and turned over. Otherwise, there are NO! other chips, nicks, or fleabites, NO! cracks, NO! crazing and NO! marks, stains, scratches or other signs of use or wear. 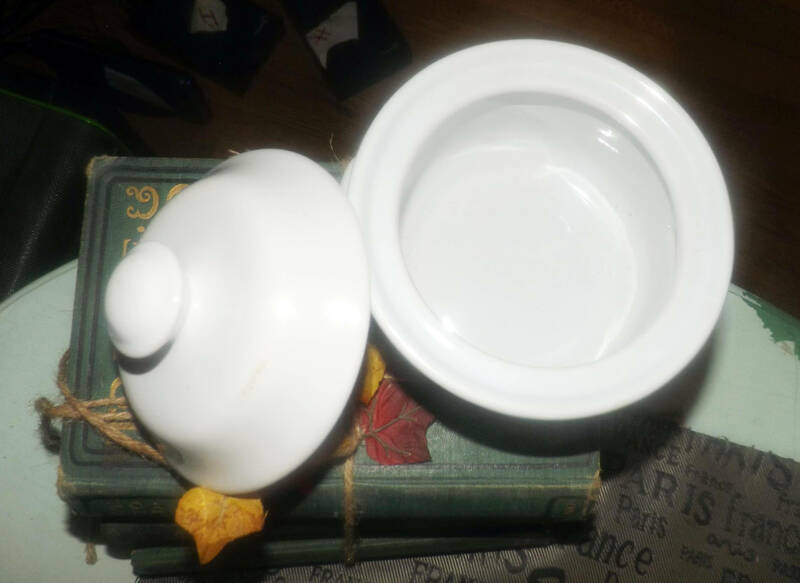 The inside bowl is clean as a whistle and the bowl and lid are seemingly unused. The Campbell's Kids imagery and wording is bright and vivid, clear and legible with NO! wear or fading apparent. 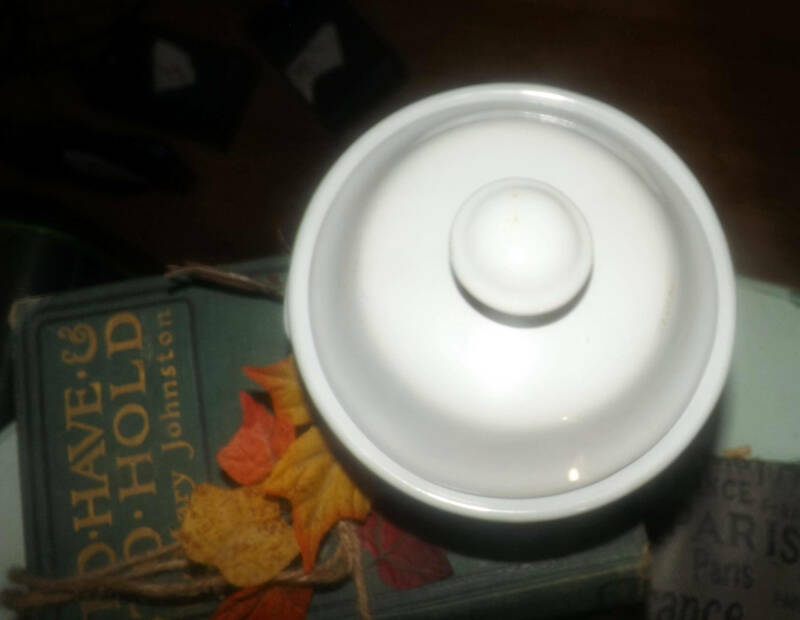 Approximate measurements: 4" deep (NOT including the lid in this depth measurement) with a 5-1/2" diameter bowl | measured from handle to handle the bowl is 8" across. 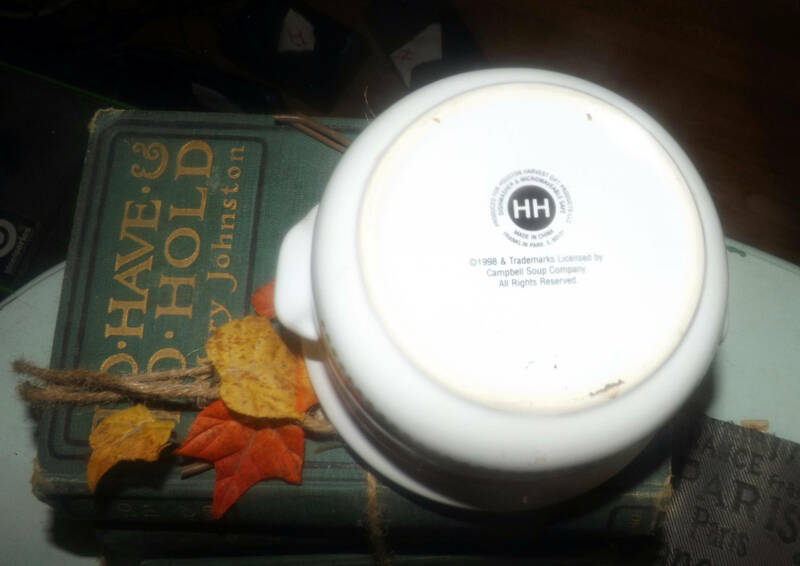 THIS LISTING IS FOR ONE (1) BOWL AND ONE (1) MATCHING LID. Currently, more than one covered bowl | casserole is available in the shop.